As seen at the grocery store parking lot last night. 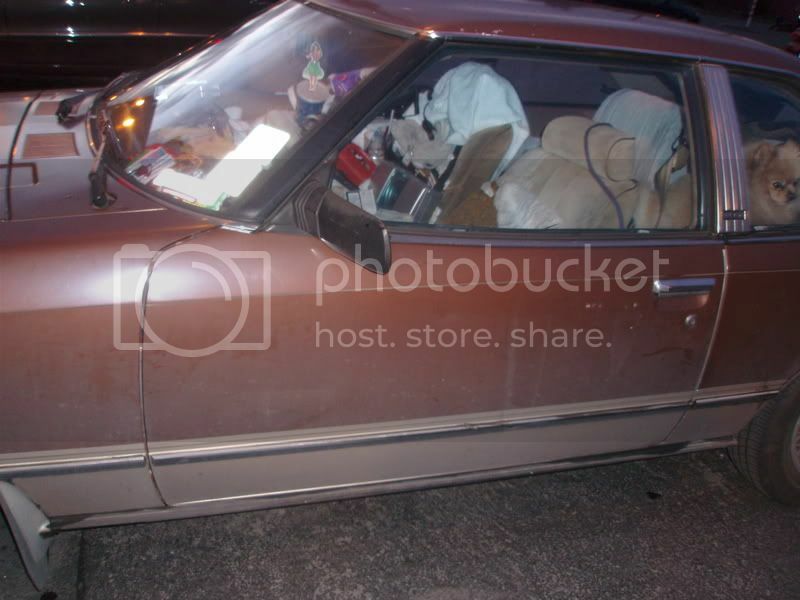 The back seat was piled with "nesting stuff" up to the window level. The yapper dog ran back and forth across it barking at me. Hopefully you can see the passenger seat. Note: "Nesting stuff" included trash, things, junk and more things. You do make me laugh. I liked seeing how many things I could identify: the empty cup, the leash, the shirt, the hula dancer air freshener . . . you're right, who needs a home when you have a car that will hold everything? Haha you would take a picture of that. I don't really have anything else to say...but I did laugh.